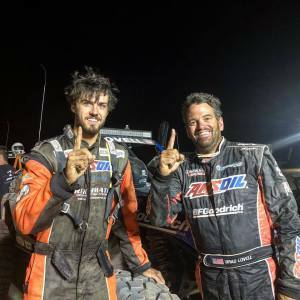 Brad Lovell and co-pilot Jake Arbitter took the 4800 crown at the Ultra 4 Rigid Rampage at Ridgecrest – Ridgecrest, Calif. Plagued by a multitude of obstacles throughout the race, they crossed the finish line less than a minute before the second-place team. Lovell Racing capped the weekend by capturing the Ultra 4 Western Series Championship. Check out the latest episode of the AMSOIL Signature Series featuring Lovell’s 1000-mile trek in the NORRA 1000. Be sure to sign up for the latest edition featuring his AMSOIL Expedition Colorado trip here. Up next for Lovell Racing? 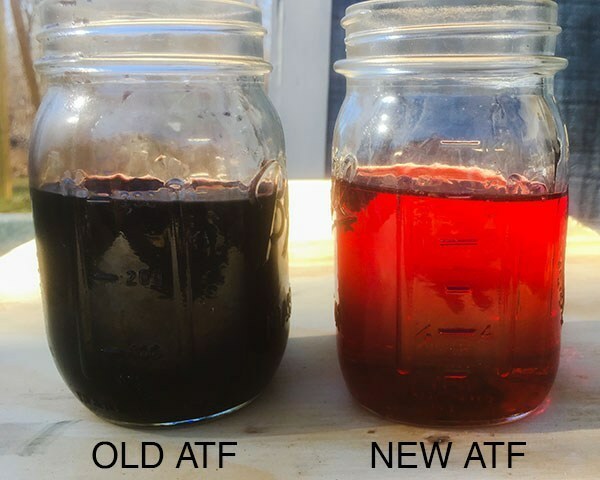 The Ultra 4 Finale in Reno, Nev., Oct. 20-21. 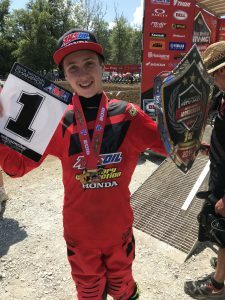 Carson Mumford continues to dominate the field, taking the 250B National Championship at the AMA Amateur National Motocross Championship. His professional counterparts head to the Budd Creek National this weekend. Chase Sexton and RJ Hampshire are just shy of the top 10 in the 250 points standings. The “Longest Off-Road Race in the United States” kicks off this weekend. AMSOIL-sponsored driver Bryce Menzies has qualified fourth in his first race back since breaking his back earlier this year. Menzies is “back in black” and ready to tear up the 540-plus mile course. Stay up to date on how he fairs in this weekend’s race by following Menzies’ Instagram page. This carbon fiber trophy truck (and Menzies) will most likely make their next appearance at the Baja 1000 in November. Anyone else love the Beach Boys? There’s a track called Kokomo, and from Aug. 22-25 the AMSOIL Sprint Car National Championship invades for four nights of dirt-in-your-face, fast-action racing for the Sprint Car Smackdown VII. This will be the seventh time the event has taken place at Kokomo Speedway. Last season AMSOIL-sponsored drivers CJ Leary and Tyler Courtney landed atop the podium.